Over the past two years my concept of home has been dismantled one roofing shingle, one 2 by 4, one new window at a time. It’s been curious and painful and enlightening all at once. As every load of debris went dump bound, every piece of sheet rock was man-handled to the second floor, every plastic tote was packed into storage… I’ve asked God to teach me what it is I need to learn. And all I know for sure right now, is this journey moved me way beyond a street address. I do not take lightly there is a roof over my head. Not at all. Especially when I see the same homeless man camped under the same freeway overpass two weekends in a row. And I can’t begin to imagine what home means to him. 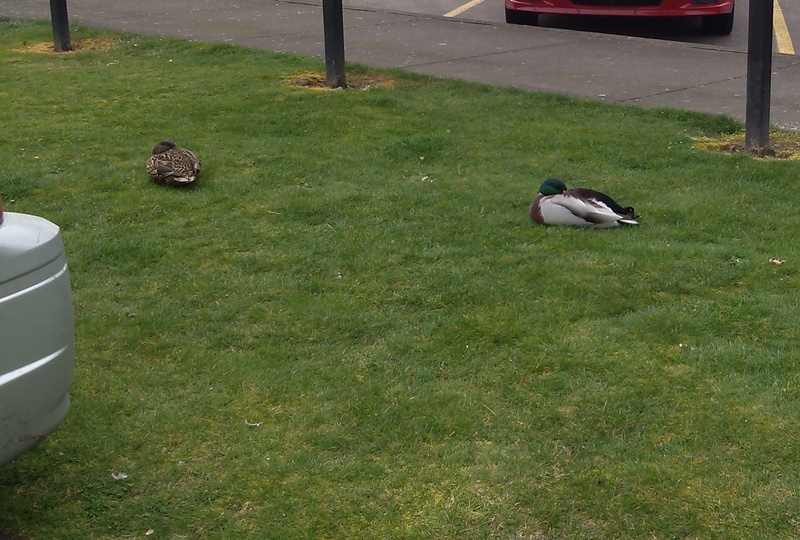 And then every couple of weeks I see these ducks. They apparently live in the parking strip between Safeway and Kmart. They’re always there. And I haven’t a clue what they eat, where they lay their eggs, or even where they swim. They do, however, seem content. Perhaps home has nothing to do with walls and floors and family photos… or that comfortable, hospitable space I grew up in… the same type of space I tried to create for my own children to grow in. Maybe comfort and hospitality is something you carry with you. Maybe this home stuff is more about relationship than anything else. Because I’m finding that as the familiarity of stuff and place disappear… truth and faith become clearer. 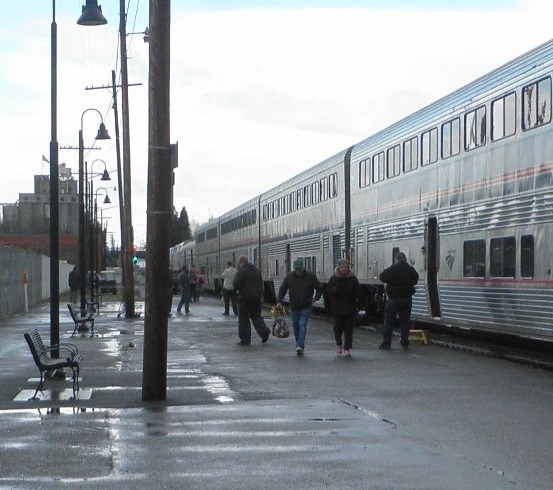 Connectedness to others grows… even if they live far away. …like the cab of our truck… as we move another load from the old shop into storage. … and we talk of what has been and where we hope to go… if we’re blessed with that kind of time. 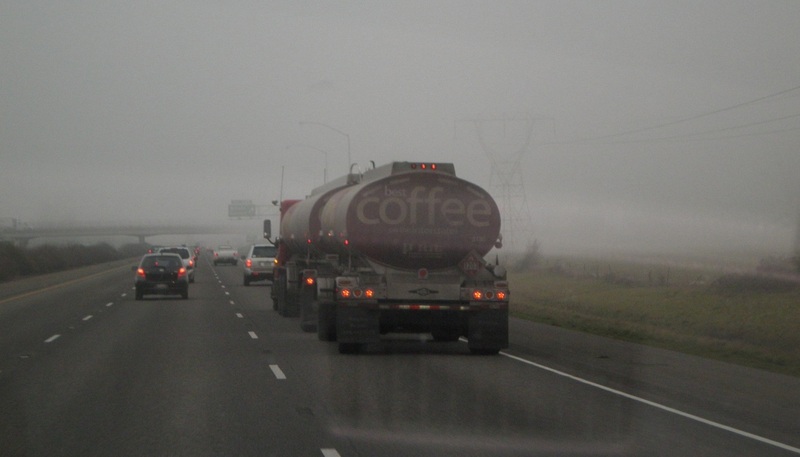 We sip our tall Americanos and roll into the fog. 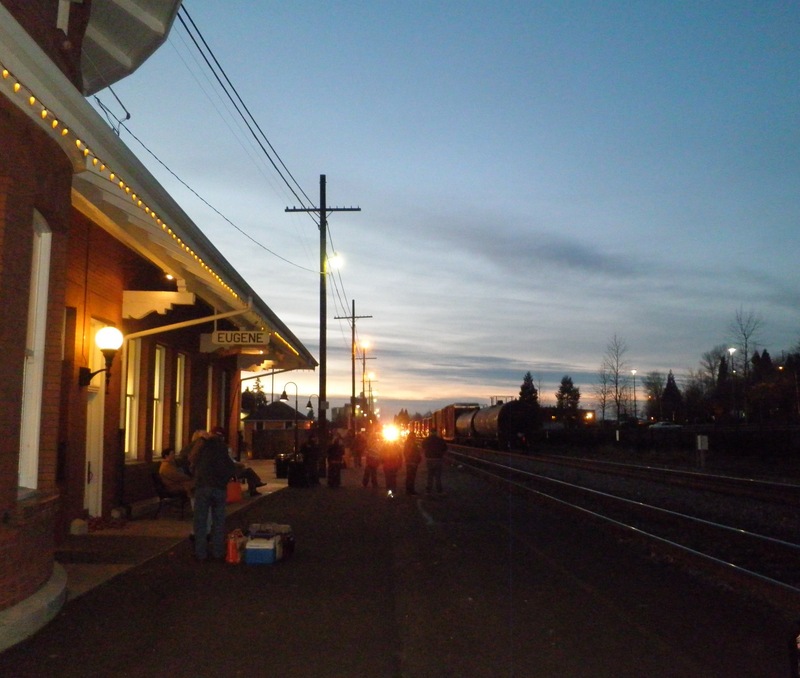 I felt home at the train station, where loved ones arrive… and go… and leave memories to hold. Memories that remind me of home, yet nothing to do with a house… like picnics at the beach, homecomings at armories, airfields and army posts, gatherings at weddings and ball fields, at baby births and graveside goodbyes. We come together, are held together by something more than a physical space. This concept of the portable home is growing on me. If it is so, I can take it wherever I go… share it with whoever I’m with… exercise it in whatever I do. The quiet dark of early morning is one of my favorite home times… no matter where I am. My books, my Bible, my journals of prayer to God. He listens. I listen back. But He does it so much better. Oh, I love that version of Psalm 90…”You have been our HOME…without beginning and end. That sounds like security to me. Home is about relationships – seems to take a lifetime for us to learn that, though. Hopefully we will still have time to live – contented – anywhere – like your ducks! Sometimes I worry that I’m getting awfully old to still be learning some of this stuff…. but then I guess we learn all our life 🙂 I’ve been reading my NLT version alot lately because it’s giant print. I need new glasses!! But I’m glad I read it as I love the way that psalm is translated. I’m catching up on my reading, Brooke… just got to this one and wanted to say how astute you are! I truly believe we are “at home” wherever we feel contentment. Our spirits are most restless when we try to cling to one place instead of willingly follow the path God sets out ahead of us. Wherever God is, there is Home.